Some ExtraContent containers in a theme (like a social bar, a banner content block or horizontal content containers) may only display if you turn on that particular element in the theme style settings. This ensures that unused regions of a theme are safely hidden from view (including things like spacing and borders), unless specifically required. Naturally the quantity and location of ExtraContent containers varies on a theme-by-theme basis. In this example, the text 'Hello World!' would get displayed within ExtraContent3. Changing the number in the above example from 3 to 7 would display the text in ExtraContent7 instead. You can use as many ExtraContent containers on the same page as you want. ExtraContent can also support many different content types, including text, HTML code, images, video, slideshows, links, icons, PlusKit @import calls and various other media. Using the ExtraContent Snippet from Adam Merrifield on Vimeo. You would normally enter these ExtraContent code snippets in either your main page container or your sidebar region. Don't worry if your sidebar is turned off - ExtraContent code snippets will still work. The HTML ExtraContent code snippets work in any page type. 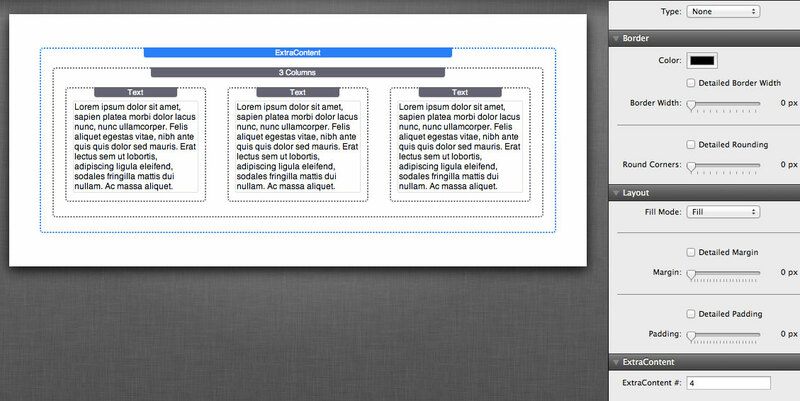 So for example, you can use this documented method in the RapidWeaver blog page type or a photo album. There are two ExtraContent stacks available for RapidWeaver, which enable you to get ExtraContent setup and working in your chosen theme without needing to use any HTML markup (as documented above). Using the ExtraContent Stack from Adam Merrifield on Vimeo. The standard ExtraContent stack was formally developed by SeyDesign and has since been taken-over by Nimblehost. You can download the stack and view its documentation here. To use this stack, drag and drop the ExtraContent stack element into your page. In the stack settings on the right, change the number to reflect the number of the individual ExtraContent container you want to access and use. Then place your content in the placeholder, as pictured below. The Stacks4Stacks website lists some additional stack elements with support for ExtraContent. Stacks such as AdaptiveGrid and UsefulStack let you embed responsive layouts and content directly into ExtraContent containers.